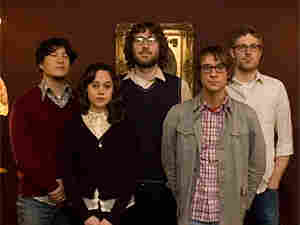 The Botticellis: 'Old Home Movies' The Botticellis take as many cues from '60s surfer pop as from 21st century art rock. The San Francisco quintet's music is radiant and lushly orchestrated. Guitars shimmer with ringing flourishes. The glowing harmonies and melodies are timeless. But the songs are as wistful as they are celebratory. Sun dappled afternoons aren't without their shadows, and singer Blythe Foster's lyrics are, at times, foreboding, all of which keeps an otherwise precious album from veering too far into mawkish romance. Second Stage features the best in new and breakout bands. The Botticellis take as many cues from '60s surfer pop as from 21st century art rock. The San Francisco quintet's music is radiant and lushly orchestrated. Guitars shimmer with ringing flourishes. The glowing harmonies and melodies are timeless. But the songs are as wistful as they are celebratory. Sun dappled afternoons aren't without their shadows, and singer Blythe Foster's lyrics are, at times, foreboding, all of which keeps an otherwise precious album from veering too far into mawkish romance. Old Home Movies is a fitting title for The Botticellis' debut release. It conjures a certain nostalgia for the carefree bliss of youth and simpler times, which accounts for the album's more melancholy moods. Still, there's a breezy West-coast sensibility, with uptempo rhythms and melodies, and pulsating organs drenched in reverb. 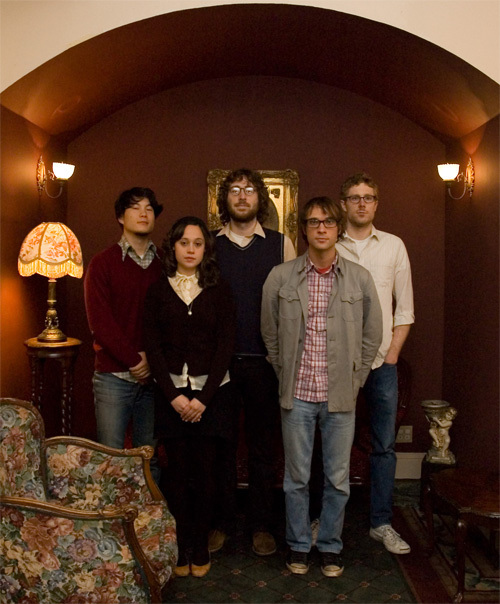 Old Home Movies opens with the title track, a song about growing older and returning home. "The experience of going home is always so different than that of leaving," says Foster. "You've grown up and reinvented yourself. You can't go back on the same road you took when you left." The Botticellis are: Alexi Glickman, vocals and guitar; Zack Ehrlich, drums, keyboards, vocals; Burton Li, guitar, keys, analogue delay; Ian Nansen, bass, vocals and Blythe Foster, lyrics and vocals. Ehrlich and Glickman have been playing music together since grade school. The two formed The Botticellis in 2004 with Li, Nansen and Foster. The band's name comes from their love of surfing and the sea. "Botticelli means 'little barrel,' a surf term Zack and I started using as kids for our favorite California wave," says Glickman. "When you're inside a wave like that, you really understand the '60s surf sound." Download this song in the Second Stage podcast.